Not content with shaking up the auto world with an aluminum F-150, Ford appears to be making a bet on vehicle carbon fiber. The company announced Friday it would work with DowAksa to advance automotive cost-effective carbon fiber with the goal of mass production for vehicles. What everyone calls carbon fiber is actually a carbon fiber composite. Basically, threads of carbon fiber are woven or sit straight in a polymer resin — epoxy, for example. It slightly resembles rebar and concrete, although the carbon fiber actually does all the work in this case. Under a joint development agreement, Ford will provide the design, engineering and mass-production chops while DowAska, split 50-50 by Dow Chemical and Aksa Akrilik Kimya Sanayii, handles the production. 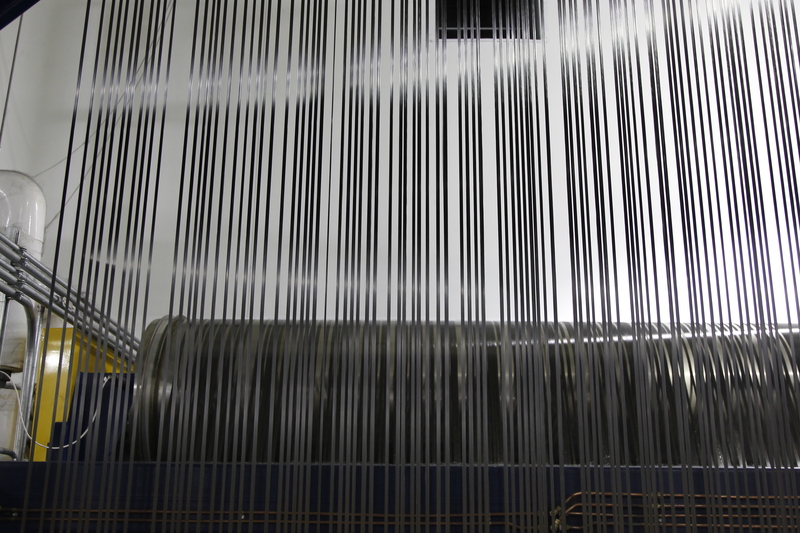 Dow, which does epoxies, and Aksa, which does fibers, created DowAska in 2012. 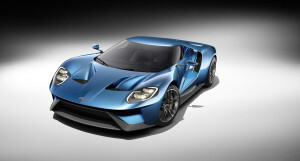 Ford earlier this year announced the carbon fiber-heavy Ford GT “supercar,” on which construction will start in 2016. It will have aluminum subframes with structural carbon-fiber body panels and a carbon-fiber passenger cell. Aligned/random: Aligned and random fiber setup is sort of self-explanatory, describing whether or not the carbon fibers parallel each other neatly or are a mishmash of tiny carbon fiber strands strewn about the epoxy; random carbon fibers can resemble either a game of pick-up sticks or a lot of sprinkles dumped on a flat plane. Thermoplastics/thermoset: Thermoplastics heat and cool the epoxy (or whatever is used) to solidify, according to Automated Dynamics; it can be repeated a few times before the heating deteriorates the polymer. A thermoset process involves using a catalyst or heat to solidify the plastic, but it can’t be reversed, unlike the thermoplastic method. Automated Dynamics said thermosets are cheaper and easily to handle, but thermoplastics are tougher, don’t need to be refrigerated until being cured, and are more convenient to fix or recycle. The companies are also part of Democratic President Barack Obama’s Institute for Advanced Composites Innovation, and their carbon fiber research will bolster their work with the institute. Carbon fiber’s strength could mean less damage to fix, and when carbon-fiber is damaged, it can’t be easily repaired. Instead, fixing a carbon-fiber vehicle like the BMW i3 means cutting away parts of the “life module” body at predetermined parts — they’re even marked — and gluing a new section back in there. However, you can also fill in minor dents with other carbon fiber composite or resin and sand it flush, Continental Structural CEO Frank Macher told Repairer Driven News recently. One of the reasons why nobody’s mass-produced carbon-fiber vehicles is the cost; it’s simply not worth the weight savings to make something out of it. Macher said one option would be to do carbon fiber “inners” with aluminum or steel “outers” or vice versa. Those would still be handled in the remove-and-replace manner of the i3 carbon fiber, he said. 2011 data from Ducker Worldwide and the Oak Ridge National Laboratory found that compared to mild steel, carbon fiber cost $6.50 per pound of weight saved. Advanced high-strength steel cost $0.50, aluminum was $2 and magnesium was $2.50, according to that data. But if Ford and DowAksa can crack how to make vehicles cheaply (relatively) with carbon-fiber, it could put Ford ahead of the competition. Its work with Jaguar on aluminum vehicles has been cited as helping the company with the F-150, as this excellent Car and Driver piece explains.